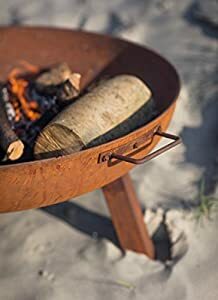 Garden incinerators & Fire Pits are delighted to offer the brilliant Garden Trading Foscot Fire Pit - Large. With so many on offer recently, it is wise to have a brand you can recognise. 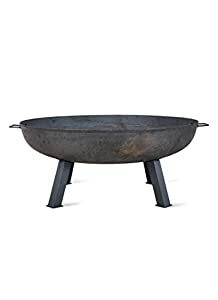 The Garden Trading Foscot Fire Pit - Large is certainly that and will be a great buy. 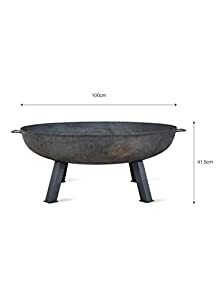 For this reduced price, the Garden Trading Foscot Fire Pit - Large is highly respected and is always a regular choice with lots of people. Garden Trading have included some nice touches and this results in great value. 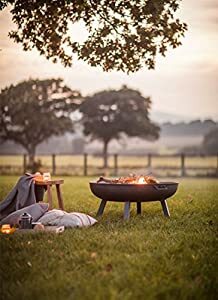 As the sun goes down, let the warmth from our Foscot Fire Pit keep the chill away. Named after the beautiful Cotswold village, we've launched three sizes to suit different sized gardens and price points. The largest here is a serious outdoor piece to give that wow factor! Quite often we find the simpler the better and the design of the Foscot range emulates this. 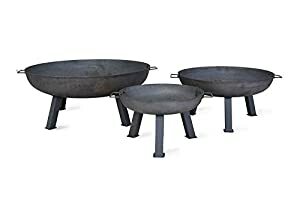 Crafted in a heavy gauge raw steel which over time will age to a natural rusty finish. Two carry handles each side make for easy carrying, whilst the four legs keep it simple yet sturdy.